Tara Coulter, 10, closely examines her butterfly before it flutters off her hand during a butterfly release at Langley Lodge on Saturday. 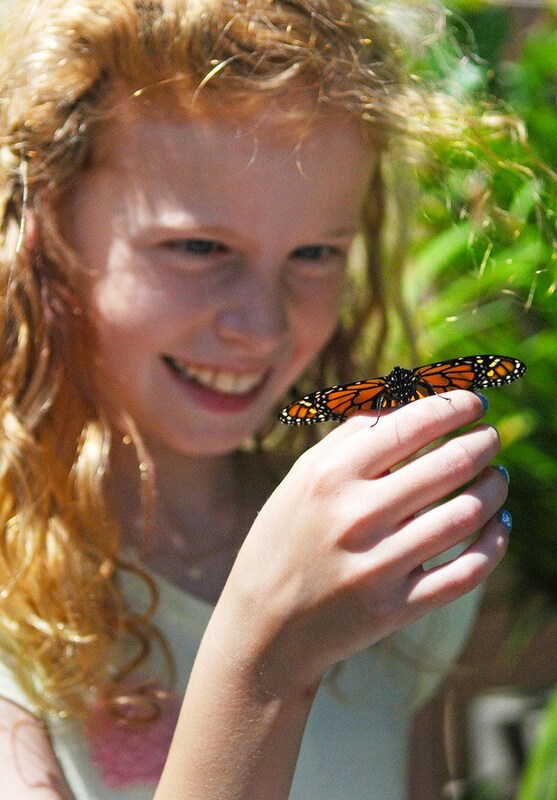 There were 100 monarch and 100 painted lady butterflies released as a fundraiser for the Langley Care Foundation. Jul. 8, 2013 10:00 a.m.